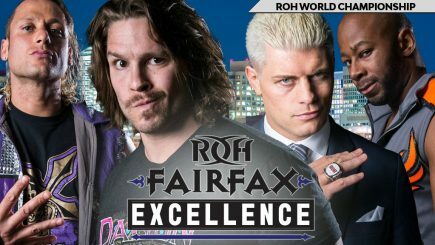 On Saturday evening in Fairfax, VA, the ROH World Championship changed hands in a Fatal 4 Way match between Dalton Castle, Cody, Jay Lethal and Matt Taven. 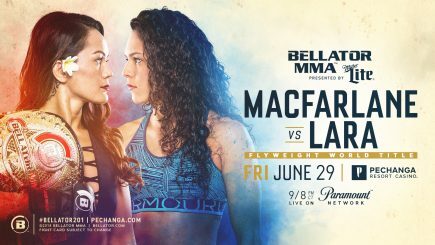 The crew from The MMA Complex recap Friday night’s Bellator 201 card featuring Ilima-Lei Macfarlane’s successful defence of the Bellator women’s flyweight title against Alejandra Lara. 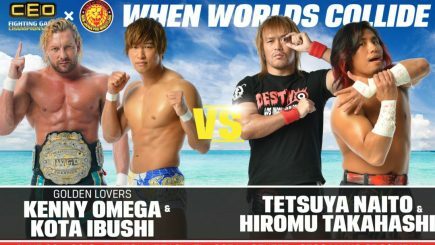 Wai Ting reviews CEO x NJPW’s “When Worlds Collide” headlined by The Golden Lovers vs. Tetsuya Naito & Hiromu Takahashi. 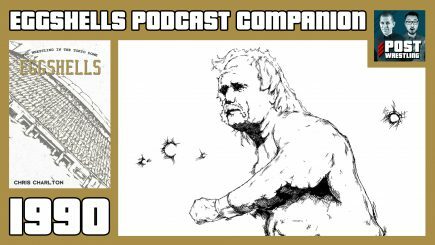 Episode two sees Chris Charlton and John Pollock look at 1990, which saw NJPW and AJPW work together on two separate shows; one with an infamous Big Van Vader and Stan Hansen brawl, and another with Hansen facing Hulk Hogan in a classic as WWF made strides into Japan. Former professional wrestler Matt Cappotelli passed away on early Friday morning following an extensive battle with brain cancer. He was 38 years old. A preview of tonight’s Ring of Honor pay-per-view from Baltimore, CEO x NJPW event from Daytona Beach, former TNA talent at the WWE tryouts at the Performance Center, Lucha Underground’s viewership, lots of UFC fight card changes, Josh Koscheck announces he is retired & lots more. 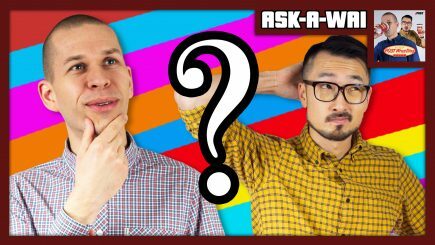 Jollock and Wai Ting answer their patrons’ questions from the POST Wrestling Forum in the July 2018 edition of Ask-A-Wai. Braden Herrington and Davie Portman chat all things NXT UK including the 2-day WWE UK Championship Tournament. Plus, a review of this week’s episode of NXT including Tommaso Ciampa confronting Aleister Black and Moustache Mountain & Ricochet vs. Undisputed Era, your feedback… and more! 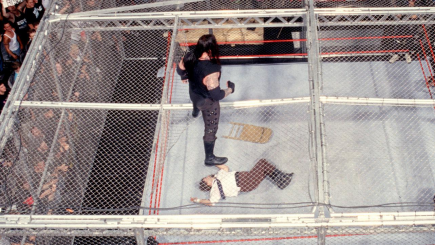 On the 20th anniversary of the Hell in a Cell match from the King of the Ring between The Undertaker and Mick Foley, John Pollock discusses the legacy of the match, the lasting impact the match had on Foley, and the contributions he made to the company. 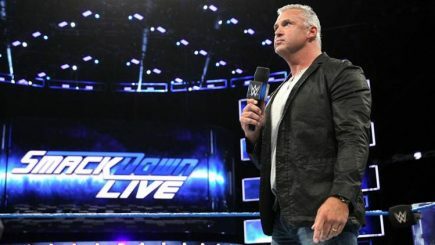 A look at the WWE’s two domestic television announcements, analyzing SmackDown’s move to Fox in 2019, a look at the careers of Rashad Evans & Johny Hendricks after they announced their retirements, Kevin Owens brought on stage by Shania Twain, Bellator sign distribution deal with DAZN, Shinsuke Nakamura update & more. Martin, Oli & Benno are back to talk the WWE UK Championship Tournament. They review both days, discuss their favourite matches and the announcement of NXT UK. 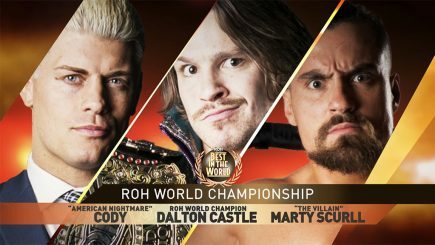 They also preview the card for the debut show of Will Ospreay’s new promotion, Frontline Wrestling. A returning Kane joins Daniel Bryan in his fight against The Bludgeon Brothers, Jeff Hardy defends the US title against Eric Young, James Ellsworth calls out Asuka, a dog bite forces Shinsuke Nakamura off the show, and the cast of Netflix’s GLOW pays a visit. On Tuesday, World Wrestling Entertainment confirmed the previously reported domestic television rights deals with the USA Network and Fox Sports. John Pollock goes through the second night of the WWE’s UK Championship Tournament cards from Royal Albert Hall. Tuesday’s broadcast featured Pete Dunne defending the UK title against Zack Gibson, Kyle O’Reilly & Roderick Strong vs. Tyler Bate & Trent Seven for the NXT tag titles & more. Eric Arndt a.k.a. 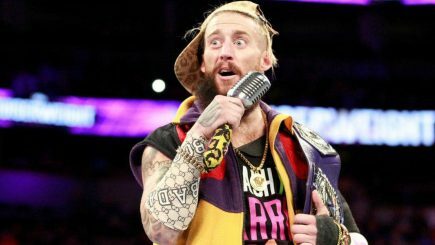 Enzo Amore spoke about his release from the WWE and the allegations he faced, Rey Mysterio revealed for the WWE 2K19 video game, POST Wrestling’s G1 coverage & contest, full list of participants for BOLA, cast members from ‘GLOW’ expected on SmackDown, NOAH confirms Hideo Itami coming in for match with former partner. 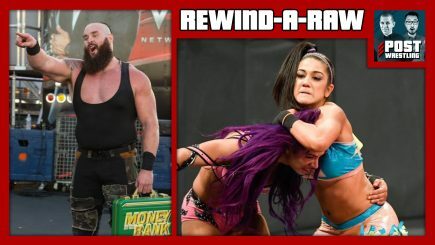 Bayley is forced to team up with Sasha Banks, Roman Reigns is forced to team up with Lashley, Finn Balor is forced to team up with Baron Corbin, and Kevin Owens is forced to team up with Braun Strowman. Seth Rollins tries to reclaim the Intercontinental Championship from Dolph Ziggler, and Rey Mysterio is announced as a WWE 2K19 Pre-Order Bonus Character. Wai reviews Total Bellas (Season 3 Episode 6) as Brie and Daniel Bryan attempt to go on a date for the first time since becoming parents. 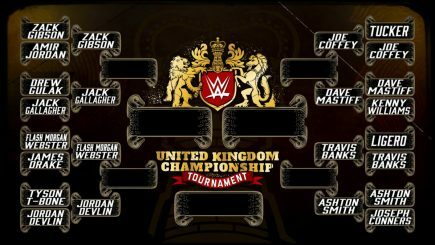 John discusses his thoughts on Day 1 of the WWE UK Championship Tournament. We also review Being The Elite (Ep. 108) and Cody’s new YouTube series, All Us (Ep. 1). 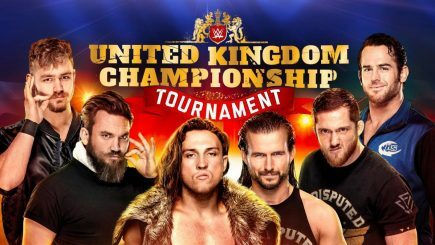 John Pollock goes through the first night of the WWE’s UK tournament events from the Royal Albert Hall, featuring the continuation of the UK title tournament and the main event with The Undisputed Era taking on Pete Dunne, Tyler Bate, and Trent Seven. Tonight’s episode of Raw from San Diego features a rematch between Dolph Ziggler and Seth Rollins, Adam Cole defeated WALTER at the EVOLVE 107 card on Sunday, the anniversary of the Ali vs. Inoki fight, Josh Barnett says he has left the UFC, Bellator signs Lyoto Machida, and lots more. A look ahead at this week’s POST Wrestling schedule of shows that will be released, including Rewind-A-Raw, Rewind-A-SmackDown, the British Wrestling Experience team covering the WWE UK cards, a new upNXT, and Chris Charlton analyzes the year 1990 in his new EGGSHELLS series.